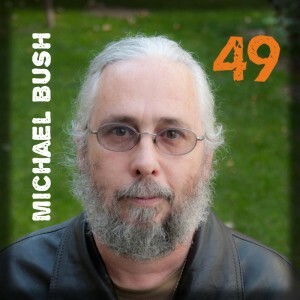 We are happy this week to present the interview with Michael Bush. Michael is a well-known treatment free beekeeper from Nebraska. He is renowned for his common sense and practical approach to keeping bees. * What is Michael's biggest challenge in keeping his bees alive in Nebraska? * What was the motivation for Michael Bush's Book? You will also find the "kiwimana" podcast on itunes and stitcher Radio, you can listen to podcasts on your mobile phone. Did you guys that managed to have a listen enjoy and got something out of the interview. Could we do anything better on our next interview? We would be keen to hear from you. Sorry, I could have posted to say it was an interesting podcast and well done, I am concious of minimising posts on this forum to conserve space so that biobees is still on-line at the end of the month. ( In this respect a "like" button would be useful!). I hear a lot of people referring to Michael Bush and although I have followed links to his site a couple of times I thought the podcast was a great introduction to his approach.